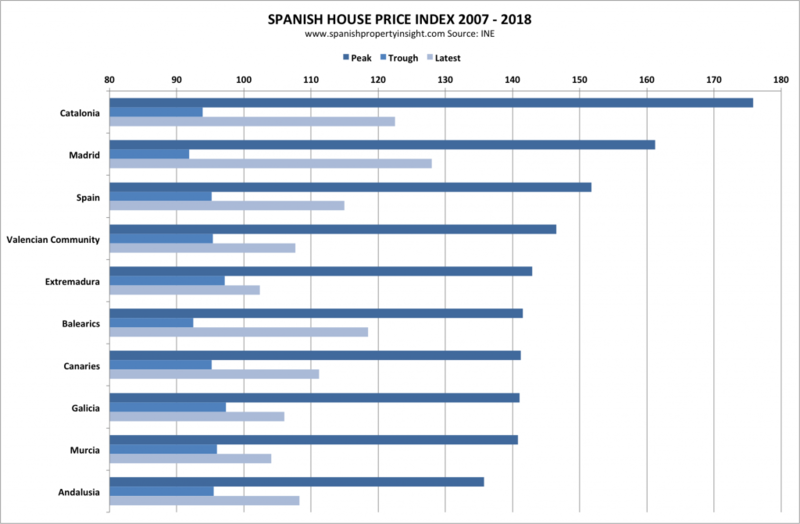 A closer look at the official Spanish house price index published by the National Institute of Statistics (INE) shows property values on the road to recovery in all regions, albeit at different speeds, but thankfully nowhere near the madness of the boom years. 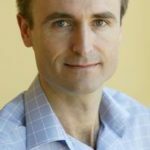 The INE index is based on home sales inscribed in the Spanish Land Registry, and therefore more convincing than other indices based on valuations or asking prices. The INE also provide figures for house prices broken down by autonomous region and, though not much use for valuing individual properties, it does give us an idea of the direction of the market over time. The chart above plots the annualised change in prices per quarter nationally and for selected regions popular with foreign buyers. House prices plunged from 2007 to the end of 2013 before starting to rise moderately in most places from 2014 onwards.The chart illustrates how all areas followed the same trend, though the rate of change differed between areas, as you would expect. The next chart shows the index of Spanish house prices with a base year of 2015 (after the recovery started), and tells a similar story of boom, bust, and mild recovery, with all regions following the same path, though once again with noticeable differences between regions. Now let’s look at the latest annualised change in house prices in selected regions. The national average was up 6.2% over twelve months to the end of March, lead by Madrid up 10.2%, with Extremadura in last place, up just 0.3% in a year. In the last quarter the rate of growth cooled off a bit in most regions, but the overall picture remains one of reasonable house price growth in most regions popular with foreign investors. 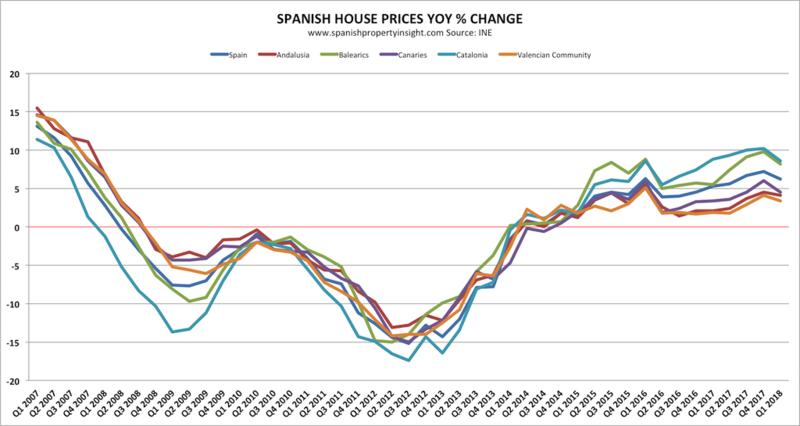 Now let’s go back to the index and look at how Spanish house prices have changed over the years of the boom-bust-recovery cycle in different regions in a series of charts. 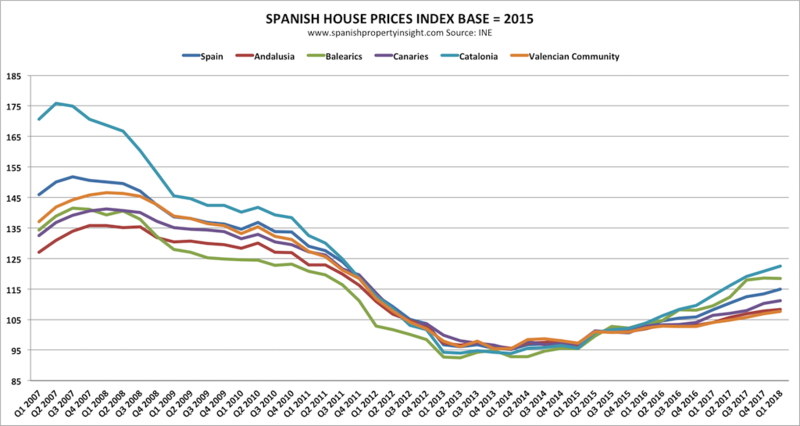 The first chart compares the index at its highest point, lowest point, and current value, revealing that the house price bubble was biggest in Catalonia, smallest in Andalusia, and that prices have recovered the most in Madrid, and barely at all in Extremadura. The next chart shows how prices changed from the peak to the trough, with declines led by Catalonia (-47%) and Madrid (-43%), whilst Andalusia posted the smallest decline of 30% between 2007 and the first quarter of 2014.The biggest price adjustment took place in Catalonia and Madrid – Spain’s two richest regions. Now comes the change in prices between their nadir and the present, in other words how much they have changed since prices bottomed out. Prices have increased the most in Madrid (+39%), followed by Catalonia (+31%), and the least in Extremadura (+5%) and Murcia (+8%). Property in Madrid and Catalonia has been an excellent investment since the recovery started, suggesting that the best opportunities are to be found in the aftermath of the biggest bubbles. And finally, how have prices changed peak to present? Prices in Catalonia are still 30% below their peak more than a decade ago, whilst at the other end of the scale house prices in the Balearics, where demand is strong and land is scarce, are just 16% below. Spain in general is still 24% down. In conclusion, house prices are still nowhere near their peaks in most places, which suggests we are nowhere near a bubble, though some specific locations in Barcelona, Madrid, and the Balearics are starting to look out of reach to local buyers. At the same time prices are clearly on a rising trend in most areas, though rarely in double digits outside Madrid, suggesting that prices are not yet rising at a speculative or unsustainable rate. Assuming no big shocks, I guess the trend towards moderately rising prices in most areas is set to continue for the foreseeable future.